A waypoint is a navigational term where people arrive to get their bearings in order to continue on in their journey. In ultramarathons, there are waypoint tents at mile 30, 60 and 80, where adventurers have to stop to get their vitals checked, regroup and recharge. However, if they remain in the tents too long, they will drop out of the race. Therefore, they must get back onto the trail. Likewise, Waypoint Community Church is a stopping place along life’s journey for us to get our bearings and directions from Jesus Christ through the Bible. We are a place where people converge from different stages and places in order to reflect on the challenge placed before us, so that we can apply it to our daily lives. 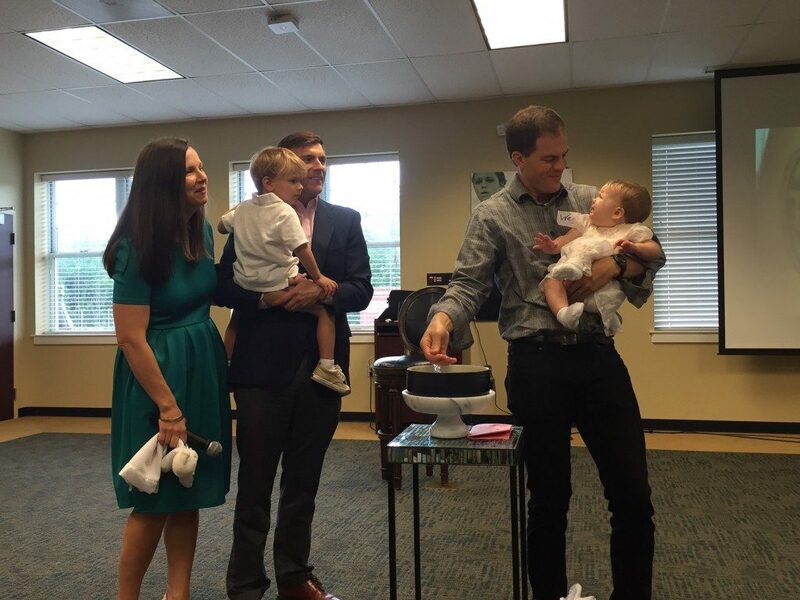 Following Paul’s example, their family engaged people through F3, Bible Studies, reconnecting with old friends and meeting new ones. In the summer of 2013, three couples met at the Caribou on Fairview Rd. to pray. From that prayer began an earnest desire for a relationally-centered community. So, conversations began to spill from that one Caribou to coffeehouses, parking lots, and neighborhoods throughout the city. In October 2013, ten relative strangers met at a bar. All had been invited by our pastor, but 20 minutes into the dinner, he was forced to sit quietly and watch new bonds form. In December 2013, the growing group of Trailblazers felt led to gather for worship. This happened well before any church planting manual timeline would advise — because we still lacked a logo, website, and even a name. However, 73 adults and children gathered to authentically worship Jesus Christ. Our community quickly grew and was energized to begin weekly worship. 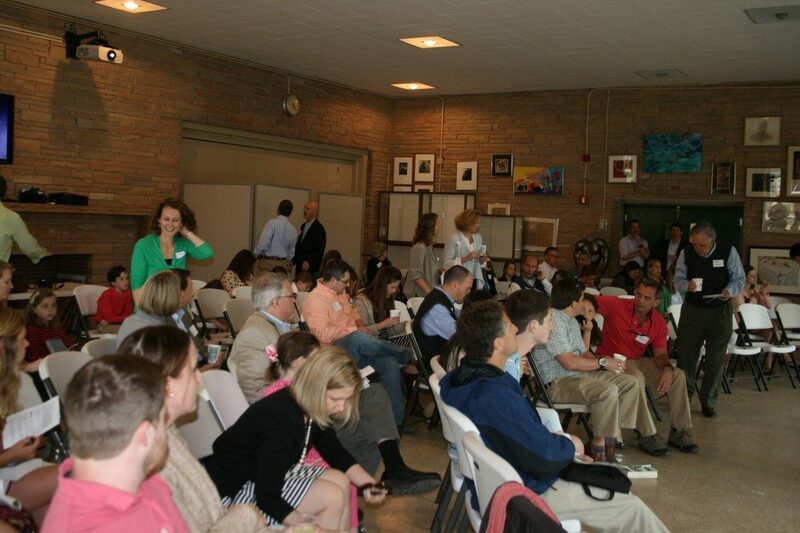 We formally launched our church at Myers Park High School on April 6, 2014. By March 2016, we had out grown our initial space and God opened up an opportunity at Queens University Sports Complex to push us one step further out into mission in our city. Within the first three years, we have seen children baptized, and teenagers publicly profess their faith in Jesus Christ, we have sent a mission team to Peru, and heard numerous praise and prayer reports of what God is stirring in our hearts. Our Story is just beginning as we uncover His Story for our lives. Therefore, we invite you to join us! We are partnered with an emerging Presbyterian Denomination called the Covenant Order of Evangelical Presbyterians (ECO) whose desire is to build and plant flourishing churches. As one of the first church plants of this new denomination, we get to creatively adapt, adopt and adjust to meet people where they are and challenge them to take one step closer to God. To learn more, visit our What We Believe page.